Thomas Begley, Jr. is a lifelong resident of Southern New Jersey and earned both his undergraduate and law degrees at Georgetown University. In a career that spans over 40 years he has extensive experience in Elder Law, Medicaid Planning, Special Needs Trusts, Disability Law and Personal Injury Consulting. In addition, Tom is an accredited attorney for the preparation, presentation, and prosecution of claims for veteran’s benefits before the Department of Veterans Affairs (VA). Tom is a member of the New Jersey Bar Association, all relevant state, local affiliates and the National Academy of Elder Law Attorneys. He is past Chair of the Elder and Disability Law Section and the Real Property Probate and Trust Law Sections of the New Jersey State Bar Association. Tom is a Certified Elder Law Attorney, a Fellow of the National Academy of Elder Law Attorneys and recipient of the NAELA President’s Award. 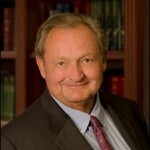 He is past president and a founding member of the Special Needs Alliance, a national network of lawyers dedicated to serving families of persons with disabilities, recipient of the Alfred E. Clapp award, and the Marilyn Askin Lifetime Achievement Award. Tom co-authored the Special Needs Trust Handbook; Representing the Elderly Client, and of Representing the Elderly or Disabled Client; Forms and Checklists with Commentary. 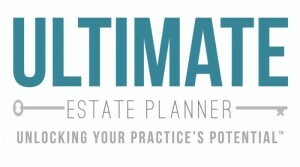 He also authored How to Develop and Manage a Successful Trust and Estate/Elder Law Practice and is a member of the editorial board of Estate Planning Magazine. Tom is AV rated by Martindale-Hubbell® (which is only awarded to lawyers operating at the highest level of professional excellence and upholding the highest ethical standards) and is recognized as a New Jersey Super Lawyer®. Outside the office Tom’s passion is his family, his 14 grandchildren and his Philadelphia Eagles. *Noteworthy: Super Lawyers 2010 Elder Law, AV rated by Martindale-Hubbell®, Certified Elder Law Attorney, Recipient of the NAELA President’s Award, Recipient of the Alfred E. Clapp Award, Marilyn Askin Lifetime Achievement Award. Teleconferences with Thomas D. Begley Jr.
What’s So Special About Special Needs Trusts? Speaker: Thomas D. Begley Jr.